Ladies Shoe Box | The modern way to store & protect shoes. Ladies Shoe Box | Delivered flat packed and quick to assemble. 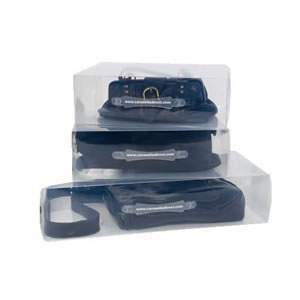 Stackable Clear Shoe Storage Box - delivered flatpack and quick to assemble. Thank you so much for my Caraselle Shoe Boxes which arrived this morning. They are just what I wanted and I can't believe how quickly they arrived - I only ordered them yesterday morning and they were here in less than 24 hours - thank you. I shall sing your praises to anyone who will listen!! Add Ankle Boots Storage Box to your basket? 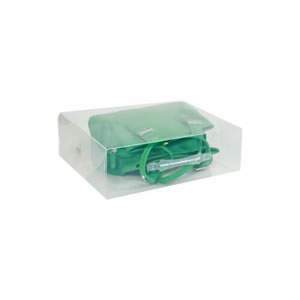 Add Ladies Clear Clutch/Evening Bag Storage Box H=6.5 W=30 D=18.5cm to your basket? 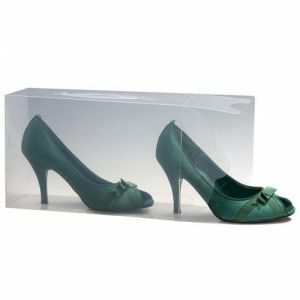 The very best quality Ladies Clear Shoe Storage Boxes manufactured in the UK exclusively for Caraselle Direct. Our Ladies Clear Shoe Boxes are larger & stronger than many others. We have 7 other colours available in Ladies Shoe Boxes. The modern way to store & protect shoes. 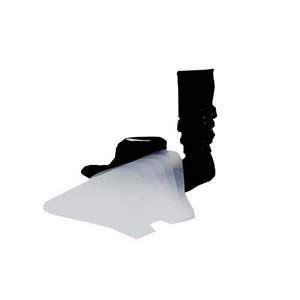 We also have co-ordinating Storage Boxes designed for mid-calf & knee boots. 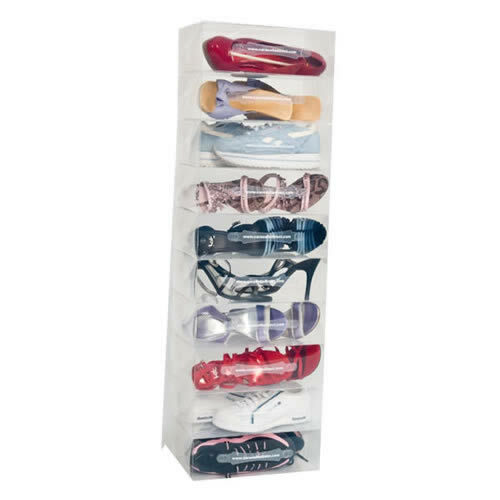 We are pleased to introduce to our range this fabulous Shoe-Stacking system. These are smart, transparent boxes so you can see every pair of shoes instantly and open them from either end which means you can take a pair of shoes out of the box without disturbing the stack. Some ladies keep many shoes in their wardrobe for many years, and this is the ideal stacking solution as you can keep adding to the stack, and when it exceeds 6 boxes you can start another stack. They look so good that you don't have to hide them away in your wardrobe either - they would make a feature in your bedroom. Our boxes are delivered flat packed, and they are very easy and quick to assemble. They are made of strong transparent polypropylene and are made to last and last. They will accommodate shoes up to size 7.